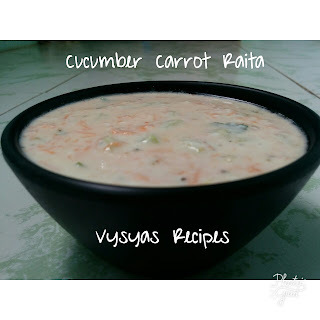 Cucumber Carrot raita is an Easy Refreshing yogurt based side dish made with finely Chopped Cucumber & Carrot.It is a Great accompaniment for Biriyani,pulao,Roti & Paratha's.Cucumber promotes hydration.As cucumber is a low calorie veggie,which helps in weight loss.Cucumber is a coolant which combats the summer heat.Carrot improves vision & cleanses the body.I have combined two healthy veggie together to make the raita nutritious. Prep Time : 7 min. Pepper Corns crushed - 1/2 tsp. Peel the skin of cucumber &chop it finely. peel the skin of carrot & Grate it. 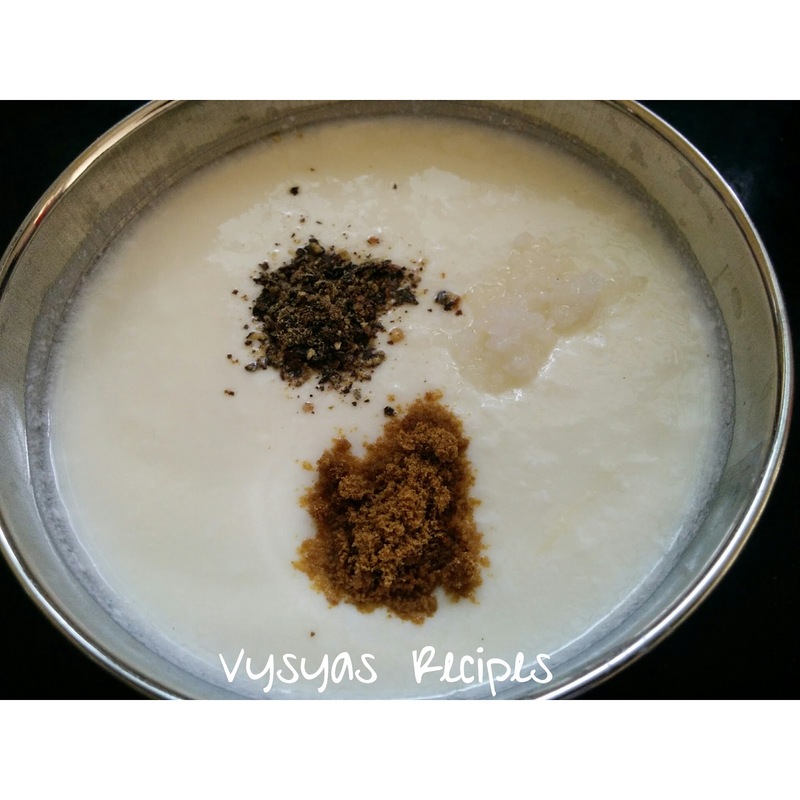 crush the pepper corns little coarsely in mortar & pestle or mixie. Take a Mixing bowl add curd, beat the curd till smooth. Add crushed Pepper Corns,Cumin Powder & salt.Give a quick Mix. Add chopped Cucumber & Grated Carrot. Mix well. 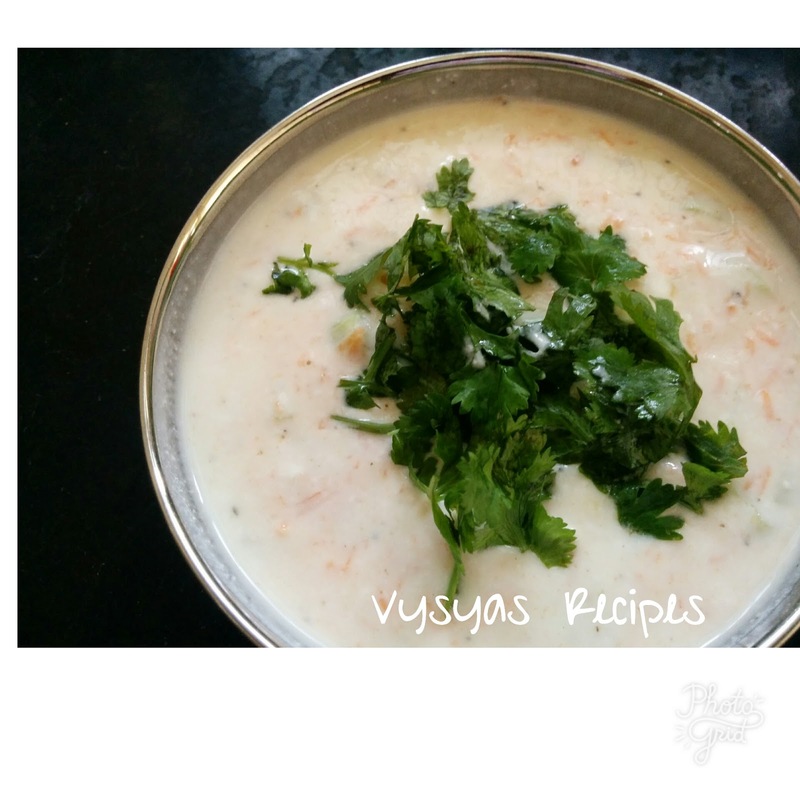 Instead of crushed Pepper Corns, you can use 1 or 2 chopped Green Chillies. 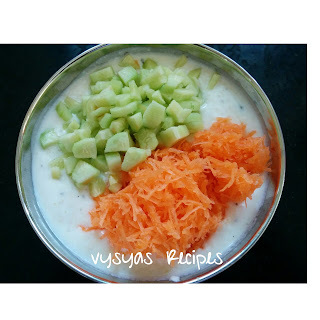 Adding carrots give additional colour & nutrition to Cucumber Raita.